Happy afternoon! How has your day been? I've been a good girl, restraining myself from blowing off the workday to spend time outside in this crazy summer weather that we're having in the middle of March! I didn't even have time to start wearing lighter long sleeves; instead I've already pulled out my sleeveless tops and shorts. Fingers crossed this doesn't mean the actual summer months will be more unbearable than last year. Some of you know that last night I went on my first picking adventure. 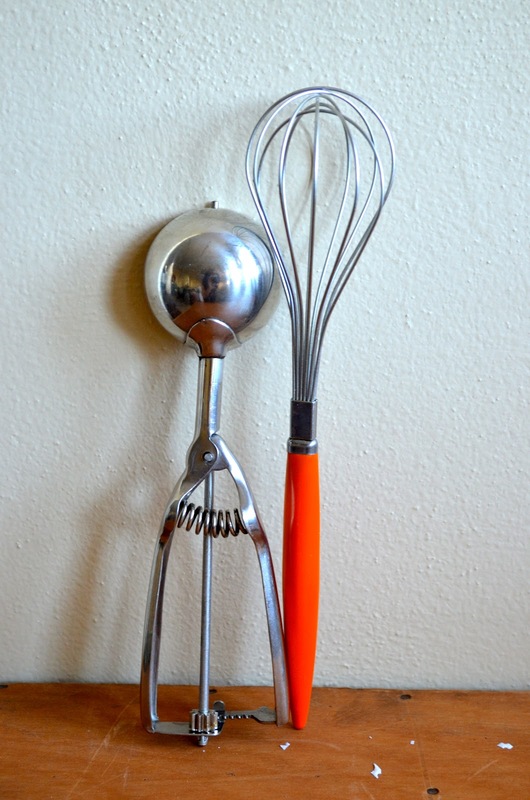 I met a guy at the Green With Indie show who said he had a basement full of items from his parents' estate, which he recently moved into, and wondered if I wanted to come over and look around to see if there was anything I'd want to take home for the store. I was SO excited about the opportunity, and finally made it happen last night. 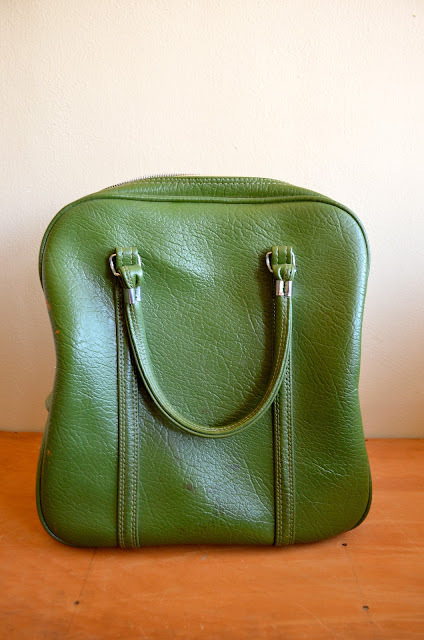 An Amelia Earhart travel bag. 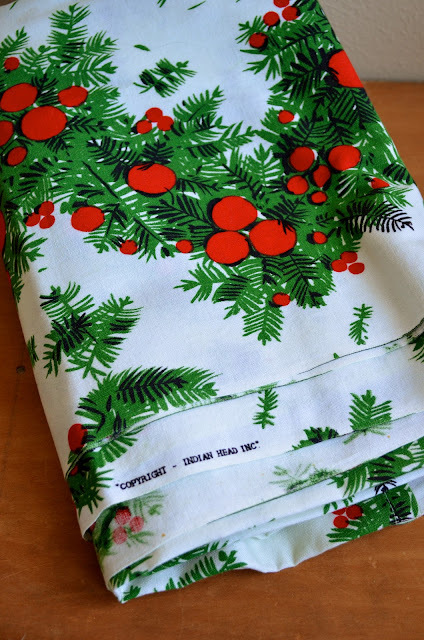 More Christmas! This is a great vintage print hemmed on one side to make it a tablecloth. 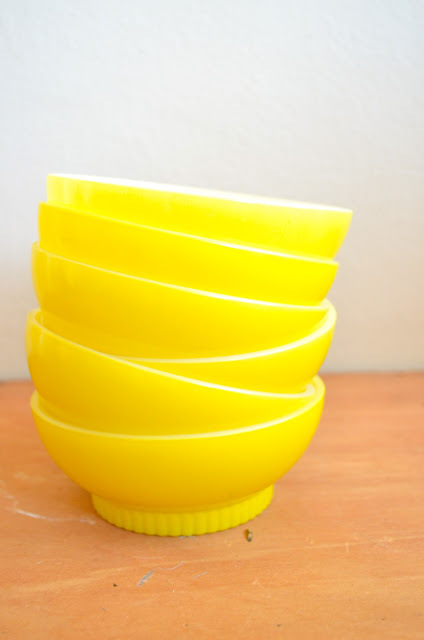 A set of vintage Pyrex custard dishes. 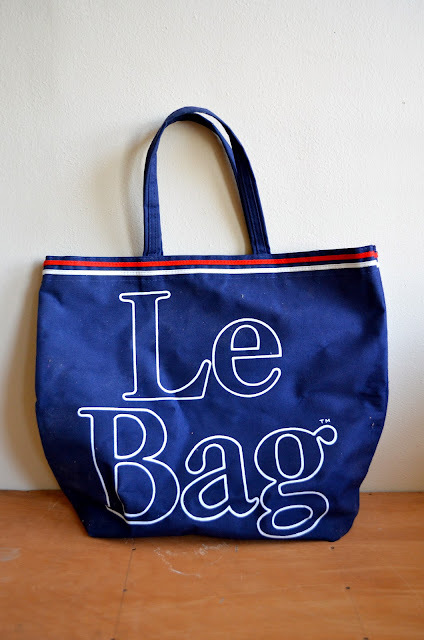 Please tell me I'm not the only one who loved Le Bags! Two sets of orange lotus bowls. The one in the back is more of a brownish-orange. 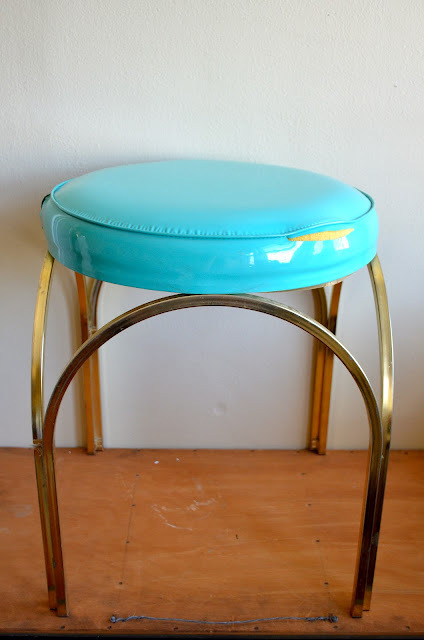 A little teal vanity stool. Has a couple rips, but nothing a quick recovering job can't fix! 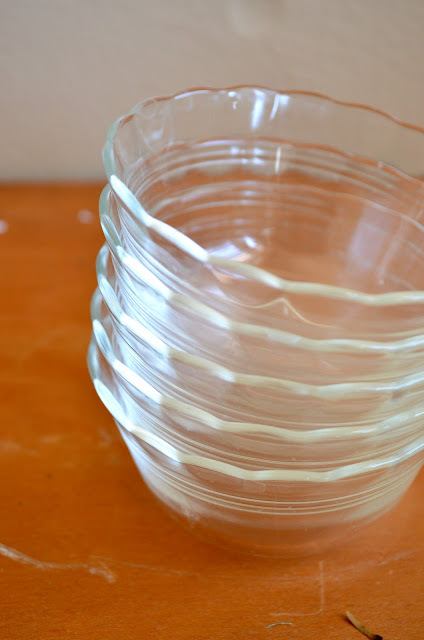 A set of Anchor Hocking Fire King bowls. How about a set of happy daisy glasses to go with them? 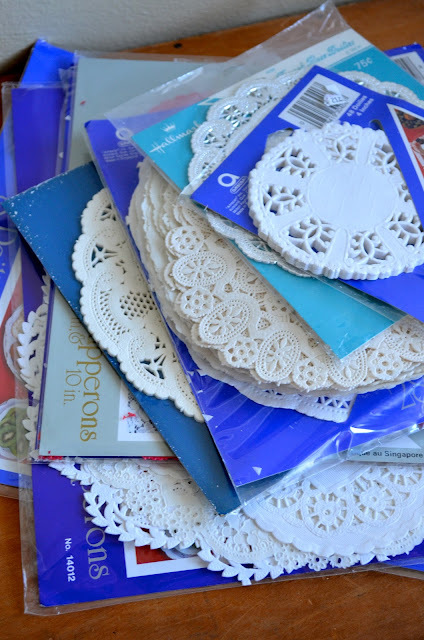 A stack of vintage paper doilies. Never know when you're going to need quick decorations! 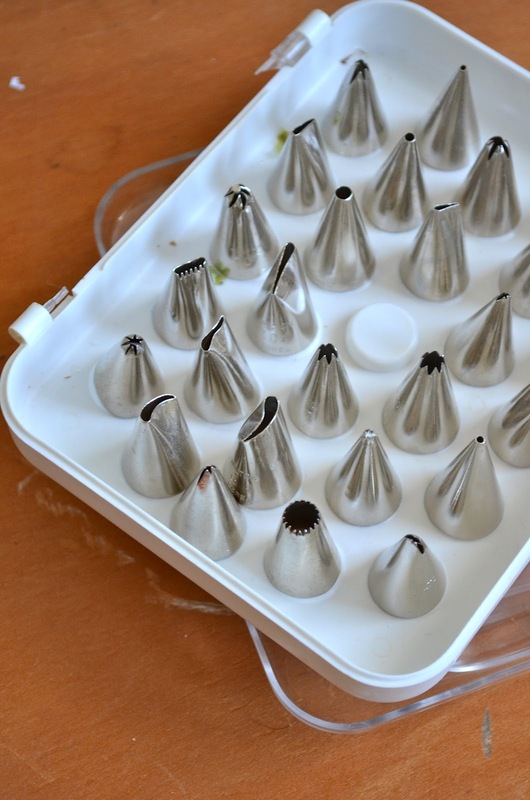 A really nice set of stainless steel piping tips. 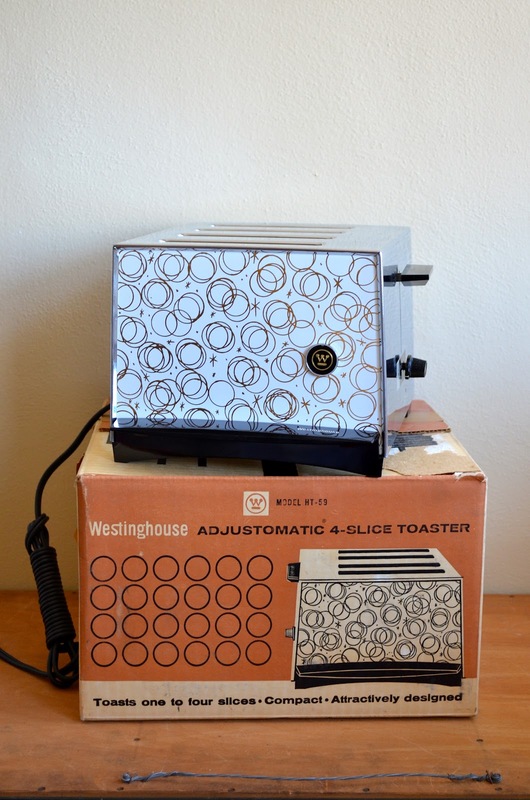 And my FAVORITE find, a 1960s Westinghouse toaster in practically brand-new condition with the original box. Look at how lovely those circles are? And I'm dying over the font on the side. I put that toaster on my counter, just to see how it would look in the kitchen, but I'm going to be a good responsible store owner and put it up for sale, although it kind of breaks my heart. I hope it will find a home with someone who really, really, really appreciates it. I did end up keeping one thing, though, which I forgot to photography separately because I'm wearing it as I type! 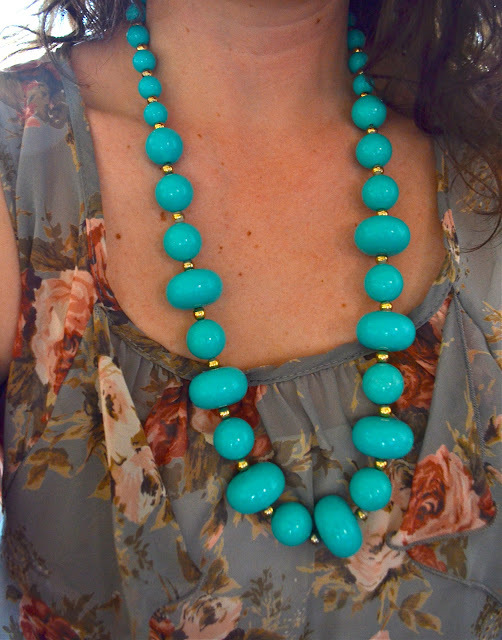 I really pretty turquoise beaded necklace that will probably be my staple piece this summer. Amazing finds! Don't you love going thru others unwanted 'junk?!' It's like Christmas! Yes! It was so interesting hearing what other people before me had gone through and picked out. Everyone has their own idea of what "treasure" is...I love it! 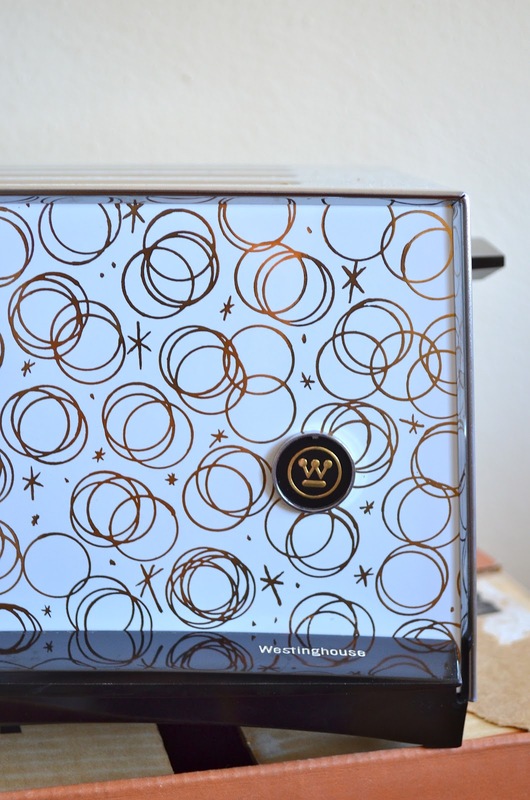 i'm in love with that toaster! wow. nice finds! great finds!! I love a good estate sale! You find the coolest stuff, looking at it makes me all nostalgic. I remember coveting Le Bags! We had the Pyrex custard dishes and I wish we'd had those Daisy glasses.